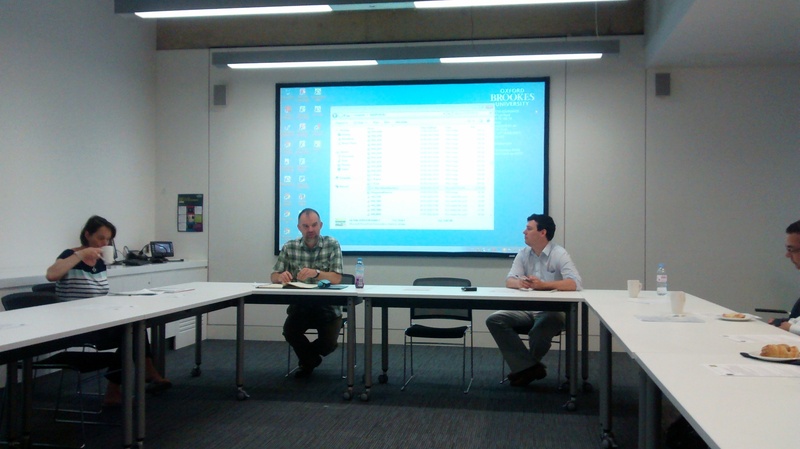 Back in July I was involved in hosting the fifth meeting of an ESRC Seminar Series on UK-Africa relations at my own institution, Oxford Brookes University. The theme of the day was ‘Trade in UK-Africa Relations’. This blog post is a summary of the discussions and some reflections on a number of the key themes that, from my perspective, emerged out of the seminar. Podcasts of all the presentations are available at the seminar series website. Panel 1: The UK and African Development: Fair trade and/or trade justice? Controlling unfair practices of UK supermarkets via a new regulatory body (The Groceries Code Adjudicator). A focus on Bilateral Investment Treaties (BITs) and the investment chapters of Free Trade Agreements (FTAs) and in particular the problematic inclusion of investor-state dispute settlement mechanisms, which limit the policy space for developing countries through what Liz described as ‘regulatory chill’. Increasing the legal power over the extra-territorial practices of UK companies. Liz concluded that current UK government practice is, in some cases, undermining the developments that Traidcraft is seeking in all three of these campaign areas. I then gave a presentation based on an ongoing research project, which is looking at the Trade Justice Movement (TJM), and its attempts to shape the debate on the relationship between trade and development. TJM was one of the three main pillars of Make Poverty History (MPH) in 2005. Ultimately TJM seeks to promote ‘trade justice’ as an alternative to free trade. During the last decade or more, however, the UK government has continued to support trade liberalisation and, in relation to Africa, the ‘prosperity agenda’ advanced by the Coalition government, discussed at the fourth seminar in the series, is even more resolutely in favour of free trade, with the emphasis on the benefits both for African economic growth and UK exporters and investors. After lunch a further three speakers spoke to the broad theme of ‘UK-Africa Trade in a Changing Global Context’. Robin Gwynn, who has had a long and distinguished career as a diplomat, specialising in Africa, discussed the development of UK trade policy towards Africa during the 5 year term of office of the Coalition government. Commercial diplomacy, he argued, became more central during this period and given the impacts of the financial crisis, the emphasis was on searching for new markets. Hence, Africa became more significant as it was viewed as a ‘high-growth region’. Robin suggested that trade alone will not sustain growth in Africa unless there is a focus on job-creating economic activity. He also noted that some African governments are requiring higher standards of trade and investment and they need to be supported in this endeavour. Ultimately trade and investment, argued Robin, have to be at the centre of any future development in Africa. In contrast, the final two speakers, in very different ways, then exposed some of the dangers that trade and investment policy can have for African development. Peg Murray-Evans (University of York) explored the intricacies of the varied negotiating positions adopted by states in Southern Africa in their Economic Partnership Agreement (EPA) negotiations with the EU. She noted how one of the outcomes of the regional EPA negotiations is that different African countries now have a range of trade regimes with the EU, which may ultimately skew UK trade and investment decisions. Peg concluded by noting the concern that South Africa and other key African states raised in the EPA negotiations, over the point made earlier in the day by Liz May, about the potential for these new trade deals to limit the ‘policy space’ for African countries. Our final speaker, John Hilary (War On Want) began by reminding everyone that history tells us that successful development has not been achieved in other parts of the world via a ‘deep integration’ model of trade. Nevertheless, John argued that although the rhetoric might have been different under New Labour, in essence the UK government has continued to have a firm commitment to trade liberalisation across Africa. The second half of his presentation then considered the NGO response to this over recent years. He noted how many key players in the UK have moved away from trade in the period since MPH in 2005 and how difficult it was to build a mass public campaign around the EPA negotiations, discussed by Peg. John optimistically concluded that unlike EPAs, the Transatlantic Trade and Investment Partnership, which is currently being negotiated between the US and the EU, allows a re-emergence of the debate on trade by opening up the broader issues of power being acquired by capital. Trade is increasingly about so much more than imports and exports, with investment becoming centre stage in both the UK and EU’s position. Is UK trade policy conducive to human development in Africa? Are existing regulatory measures (such as the focus on the practice of UK supermarkets) sufficient in this regard? There are alternatives to the orthodox view that trade liberalisation is good for development. However, for the UK government this remains a key assumption. By being critical of this stance, as John Hilary emphasised in his presentation, does not mean that we have to adopt a position where we are against the idea of trade. The challenge is how we move from the idea of fair trade to realising the more systemic changes captured by the concept of ‘trade justice’.